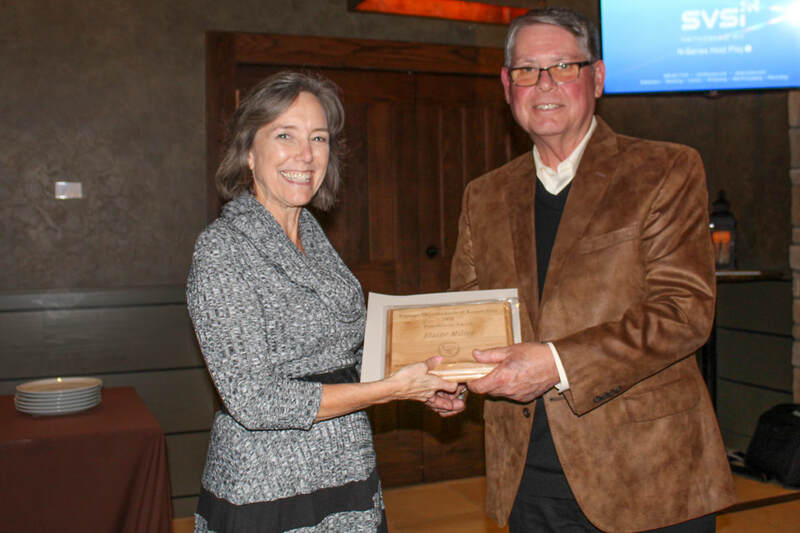 President Scotty M presented the 2018 President's Trophy to Elaine Miller, the Club's Secretary/Treasurer, for all her hard work in keeping the financial books straight as well as maintaining an ever changing Club Roster. Congratulations Elaine. ​And for more pictures of our annual Holiday Party, don't forget to see them on the Past Events page, under the more tab above. The Planning Meeting put forth a raft of ideas and plans for 2019. Please check out the details on the Events page. What a great chili supper plus so much more and a great turnout too. Next on the 2019 VTKC agenda is the annual Spring Cruise, led by Rob M. Make sure you let Rob know that you plan on attending, because it will be a great day out and about. 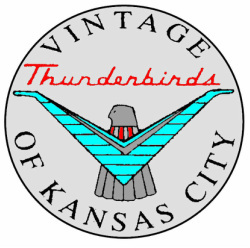 The Vintage Thunderbirds of Kansas City (VTKC) came together as a not-for-profit club of Thunderbird enthusiasts in 1990. 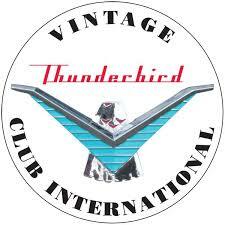 We are a local chapter of the Vintage Thunderbird Club International (VTCI), recognizing all Ford Thunderbirds from 1955 through 2005. The Vintage Thunderbirds of Kansas City club has grown steadily through the years to now average 70+ family memberships annually, with even more Thunderbirds among the membership, most body styles offered are represented in our club. VTKC is an active club with many different events, of which members can select their own level of participation. A planning meeting is held in January where members decide the functions and events for most of the year. VTKC plans to have at least one event each month allowing the members to drive, show and enjoy their Thunderbirds. All events are family friendly. Our events include car shows, local cruises, one day Spring cruise, two day Fall cruise, Fall dinner party and ending the year with our Christmas Party. The events are published in the monthly newsletter “Birds Eye View”. Some of our Thunderbirds are award winners at the national level, a few are in the process of getting there, but many are simply enjoyable drivers. VTKC usually has several members who attend the VTCI regionals or International shows each year. Nearly every year a few members caravan to these events, receiving attention at the sight of a Thunderbird caravan. Our club hosted a VTCI regional several years ago. Most recently, we hosted the 2016 VTCI International in Kansas City at the Airport Marriott Hotel. There were 94 registered T-Birds and 225 registered attendees from 23 states and 3 Canadian Provinces. VTKC is dedicated to the preservation of all Thunderbirds. Our members represent all walks of life, but share one common interest: the love of their Thunderbirds. We welcome all Thunderbird owners and if you haven’t found your special Thunderbird yet, you can still join us to make Thunderbird friends while you continue your search. To join us and enjoy the hospitality of our members and the love of our Thunderbirds, only cost $20 per year and that cost is prorated for new members. Want more information about VTKC? Click on the Contact Us tab above and we’ll be sure to answer your questions about the club and membership benefits. Ready to join with like-minded people who love Thunderbirds? Click here and be taken to the current Membership Application. Follow the directions for downloading the form and printing it out, complete it and send to our Treasurer. We look forward to you participating at the upcoming events.